(WJBK) - When you welcome a new baby into your family, there's a lot to learn. Beaumont has you covered with an upcoming fair tomorrow on all things baby. The events, on April 14 and April 28, are free. Joining FOX 2 is Bridget Ralston, Beaumont nurse educator. In the video player above, Bridget discussed the dangers of choking. 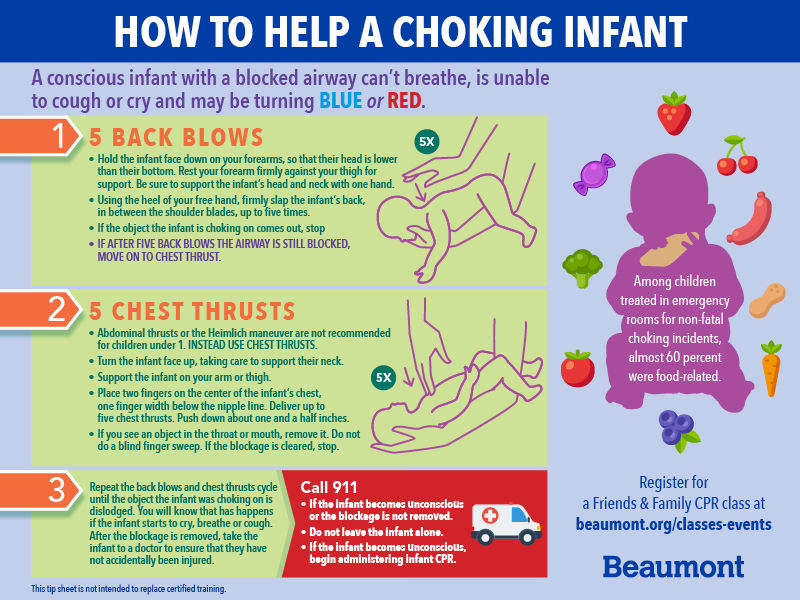 Click here for a helpful infographic on how to help a choking infant.